Here's the thing though. You guys are all working on a postulate that Botterill wanted to trade Ryan because he felt Ryan was a problem in the locker room. Well maybe not you, but that is a clear and repeatedly articulated stance. But it's fundamentally different from so many other hockey takes, including locker room culture takes. Because in the NHL these exist with far more evidence than we've been given in this instance, and the conclusions that get drawn in those situations are exponentially less far-reaching than the Blues locker room nonsense that you might not be saying but that is the stuff that's making me even bother to reply. Because if you notice, I'm never the guy to bring this up, but I'm always the guy to jump in when things depart from the ground. I can make an equally valid postulate with sound reasoning and equal evidence: Terry Pegula does not like when guys make his teams look bad. We've read whispers of this, in more substantiated form (about Kane, in I think TBN?) than anything that's ever been in print on Ryan ("vortex of sadness" is the best I've ever seen, and it was based off of locker room interviews and the obvious observation that ROR was sad that the Sabres were bad). Terry did not like ROR driving through a Tim Hortons, and said to Jason, since stuff needs to change, let that guy be the change. Supporting evidence: None, but in the vein of "things that could have happened so why not, they did," that Jason spent a full calendar year discussing the importance of center depth and mentioning Jack and ROR by name as being incredibly lucky to be set like that there. It's certainly a supporting observation. But I would never put this out there the same way the cancer thing is put out there, because I see it as what it is. An idea that probably has some parts of it true (in the same way needing a locker room shakeup this past offseason is almost certainly true) with a conclusion that gets phrased repeatedly (and with snark, hell hath no fury like a Buffalo fan to a guy that used to be a Sabre but isn't now) as necessarily following, but doesn't actually logically follow using any sort of evidence we actually have. This distinction between ROR's locker room "evidence" literally stemming from tuning into interviews and making projections, and locker room evidence that actually gets put out in the spotlight, like, really goddamn easily in this league, is completely ignored here and ONLY here. If you've noticed, I throw a lot of words at things that I think need more scrutiny than are getting, and that's what's going on here. I know what freaking drugs Jeff Carter and Mike Richards like to use. I know who Duchene would and wouldn't talk to after his trade request while still playing on the team weeks, skipping training camp. I don't even care to know this stuff, it just made itself known. And if people only said "damn dude blow this core up cuz it didn't work, and ROR, you're 28 or whatever, see ya buddy we'll use that money on younger players" I'd literally never post about ROR again, but people think that's the same thing as "You're just mad that it's true that ROR is a malaise on the St. Louis Blues because of who he is as a human being." It's possible. In a league where I read while on the shitter that Duchene asked to be traded, I'd be thrilled for any sort of substance. That is not a very good application of Occam's Razor though, which requires the simplest possible explanation that can be shown, which IMO, is not that ROR "was a cancer" but that a last place locker room needed a shakeup, and the best piece to do it would be the old guy with a decent-sized cap hit. You wouldn't risk subbing out worse-than-tank-seasons center depth for a guy who can do 60 points with the most defensive usage in forward history? Because his surly brow might have made Eichel sadder during the win streak and thereby kill the win streak? Lehner: Active manic depressive alcoholic, tanking Sabres games, noted dark cloud in locker room. 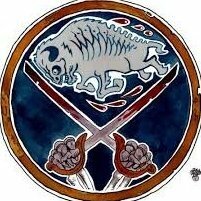 In his absence, a stretch in which Sabres win 3 games of 16 in regulation, on the power of an entire goal per game allowed fewer relative to last season's save percentages, turns into 10 wins. Chad Johnson: An even worse goalie than Lehner, on record as saying things to the effect of "I can't wait to show my talents on a REAL team" upon arrival to St. Louis. Contributes to worst goaltending in the league in St. Louis, gets freaking cut from the entire team within two months. Okposo: Just as much depression evidence as ROR, team is doing fine with it. Bortuzzo and Sanford: Get into a literal fistfight at Blues practice. Pietrangelo: Worst defending of his career, looks like Brent Seabrook. Bouwmeester: Looks like Josh Gorges at his worst, gets spoonfed minutes. Jake Allen: Spent his first 15 games allowing fewer than 3 goals approximately one time, allowing 5 goals about five times as often as that. Sabres 2nd and 3rd line centers: In a league that is scoring as much as the 05-06 season, the Sabres' second and third line centers are scoring at rates worse than those of the second and third line centers, Flynn and Mitchell, on the tank team. Literally. We have worse center depth than the 14-15 Sabres team. Ryan O'Reilly: Scoring 5v5, already has more 5v5 goals than all of last year as I predicted on the same page of this post in July, and it took him like 20 games. A plus player on a very minus team. A positive possession player on a very bad possession team. Over a point per game 1C, playing the best hockey from a center St. Louis has seen in decades, drawing universal praise from their fans, leaving community holes that Beaulieu actively mentions working really hard to try and fill. Blues fans talking about how valuable his on-ice work ethic is for guys like Tarasenko and other important core pieces. Said "I need to be better" at a per-loss-rate roughly comparable to Jack Eichel last season. Conclusion: The Sabres are better because they traded O'Reilly, the Blues are worse for having him, and Ryan O'Reilly is to locker rooms what abnormal cell growth developing into a ravaging disease that destroys families is to five year olds that want to become astronauts and firefighters. This continues to be the worst take I've ever read on this board. Again, not that a new locker room is a good thing for the Sabres. But that ROR is actively "spreading cancer" to the Blues locker room. It's weak, lazy, and quite frankly rather disgusting. It never mentions above locker room things we actually have evidence for, and it actively avoids even trying to understand hockey teams and how they work. It also reeks of spending approximately 0.0 seconds watching any Blues hockey this year or taking time to read and converse with Blues fans who do (hint, I've done plenty of both). It makes me disinterested in talking about hockey here, to be honest. It is very important to win this game, and we will. Just Bravo. Standing ovation. The best thing this franchise has ever done?? Dude, the world is not some utopia where the "good vets" try 100% of the time, the "bad vets" have inherent lazy traits that if you see once they're a blight forever, and there's a clear line delineating these two things, and that good teams see the line and load up on guys on the right side of it. The hockey season is long, and every player in the world makes a ***** ton of bad effort plays along the way. I'm not a KO-the-player fan either, as everyone here knows, but let's at least try to be rational here. dudacek is right, my friend. Taking everything you could possibly take into account with Reinhart, I have no idea how you can describe him as a replacement level player. Or maybe to you "replacement level" means "another good top 6 forward that has skill-sets I prefer to Sam's." But that's not what a replacement level player is.